As many of you know, my grandpa died of lung cancer in 2008. A few weeks ago, I wrote a post asking my readers to volunteer to walk in the Breathe Deep DC event by LUNGevity, or to donate money or spread awareness about lung cancer. I was blown away about how much money I raised from friends, family and people who read my blog– over $11,000! 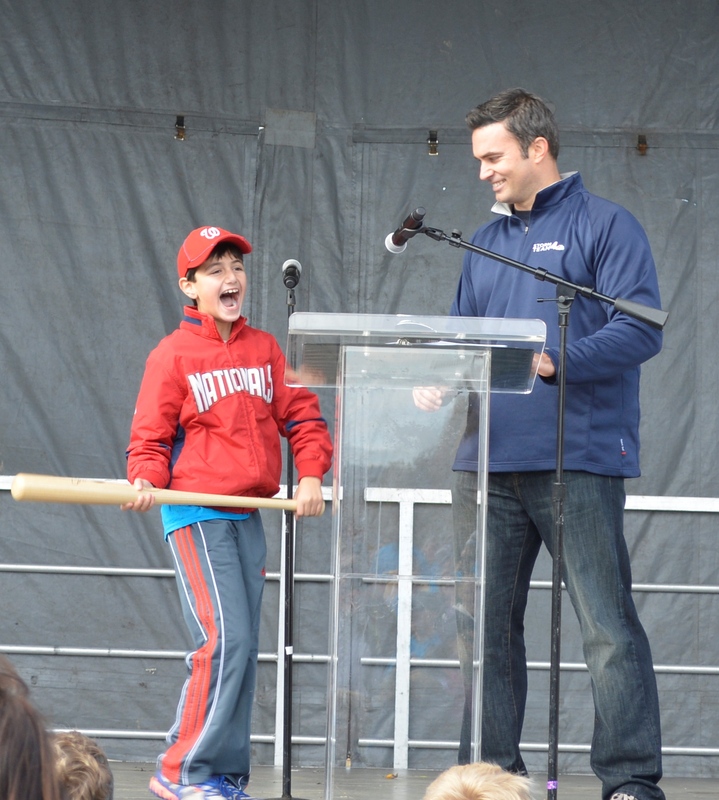 The event took place on Sunday, November 3, 2013. The people from Breathe Deep people thanked me in a big way. A few years ago, when I was only 4, my grandfather was going through a case of lung cancer. I was 4, you know, making a mess at dinner by throwing spaghetti or watching annoying cartoons over and over again. I never realized my grandfather, who was only 58 years old, was very, very ill. I didn’t understand what happened when he died. It was the first big loss of my life. He was a doctor who always cared about others and treated them to get better when they were sick. My younger brother was with him for about a year, but my sister never met G-Pa. Today, I am a 4th grade student and a sportswriter, but my G-Pa will never know that. 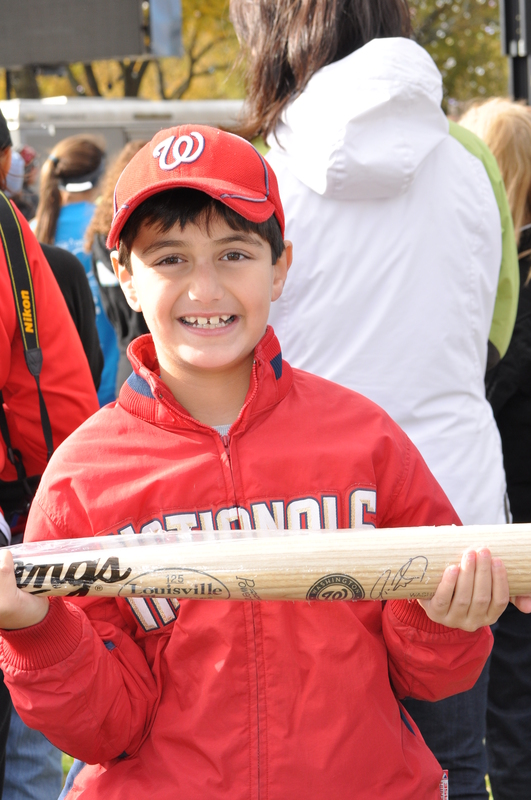 My brother is a big kid now and the best shortstop on the diamond, but he’ll never know that either. My sister is the most beautiful girl and named after him, but he’ll never know that, too. But I know, from the heavens above me, he’s smiling on us, and knowing that I’ll always remember him. His patients, his colleagues, his friends and his family will always remember him. And he knows I will too. 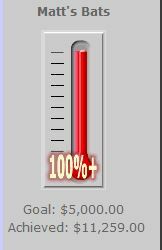 That’s why I raised over $11,000.00 this year from friends, family, and people who read my blog and Twitter to help LUNGevity take a huge lunge over lung cancer. 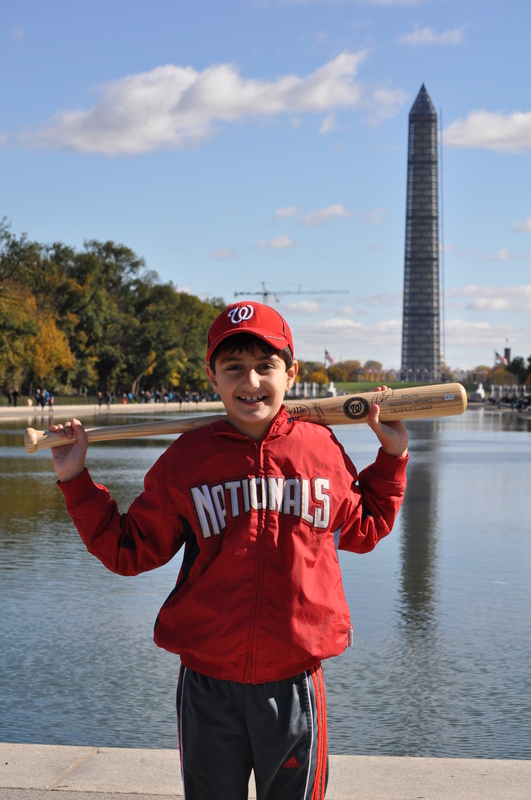 It was a beautiful day to walk around the National Mall. Here are some photos! 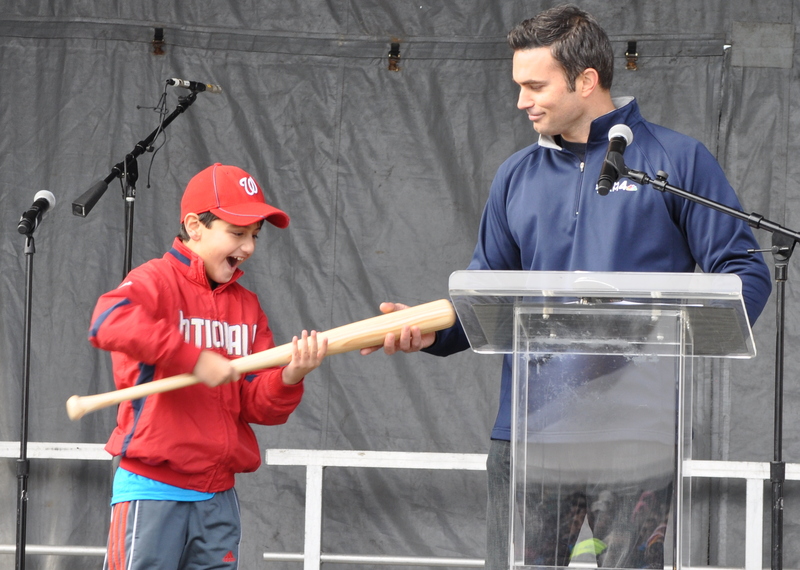 The highlight of the day is when Doug Kammerer from NBC4 called me on stage in front of 1,500 people and presented me with a bat signed by Jayson Werth that was donated by the Nationals. 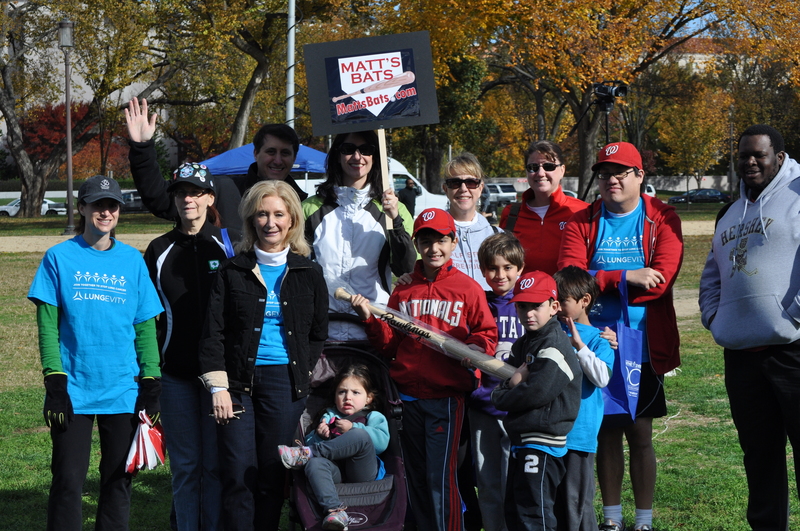 Thanks to the people who came out and joined “Team Matt’s Bats”– Caroline, Susan, Gail, Lauren, Adam, Amy, Lisa, Michele, Tracy, Tolu, Dylan, Andy, and Holden. Finally, does this one look familiar to anyone? Thank you to everyone who supported me in my fundraising. I appreciate the wonderful people who gave money or came out to walk. Way to go matt! the shermans were thrilled to be with you on sunday and we are so fortunate and proud to know someone like you….you are truly inspirational…keep up the great work…..
Matt, I wanted to take a moment and congratulate you for a job well done. It was wonderful seeing the photographs and the video of you receiving a well deserved bat for your extraordinary effort. You’re an extraordinary kid and I admire, respect, and love you very much. Keep up the great work. Nice! We are proud of you!